Leadership Centre is dedicated to building a world class institution in thought and practice of leadership. We believe that leadership is more than skill and style. Our framework on leadership development believes that leadership is a personal resource which each one has. By making individuals aware of their leadership resources, gain insights on the enablement or limitations it places on their leadership abilities, can one develop leadership abilities. This is a personalised model. Leadership is the assertion of a person’s orientations and its fit to a context. The broader the fit of one’s orientation, the more versatile a person is to exercise one’s leadership to a variety of contexts. Our work is guided by the works of several scholars filtered through the practitioner’s lens. Leadership Centre’s model of learning works on the ‘Orientation Toning process’, using ‘Restraint and Release’ of thought, emotions and actions. This release is moderated according to demands of the context, without being tied down by one’s default settings. Leadership Centre’s invests in understanding our client institution’s specific context, leadership vision and life stage of the organisation to customise and co-create interventions. The approach offered is through a blend of methods as the context demands which includes, classical facilitation, fire side chats, domain expert perspectives sessions, one-on-one personalised sessions and online tools. The online platform is designed for those seeking to develop their leadership abilities independently. The platform enables a wide range of learning experiences - exposure to leadership thinking, concepts and experiences via Podcasts; broaden perspectives through interactions with accomplished leaders using Webinars and a bouquet of proprietary online leadership profilers providing a reflection of an individual’s leadership orientations. Leadership Centre has access to Kautilya Leadership Services - a world class learning space abounding in greenery dedicated to building thought and practise on leadership. Kautilya has 48 residential rooms, 2 large modern state of the art learning spaces, an amphitheatre where a whisper can be heard all around without a PA system, 10 internationally themed discussion rooms, a 2,500 sq. feet Gym and sports lounge. Kautilya has also a 5-bedroom villa to supplement the 48 residential rooms. Thereby, a residential capacity for over 100 people focussed on creating a learning experience. Kautilya is a learning space made to order for those who seek a space to reflect, debate, renegotiate, gain insights and discover. At Kautilya every one of us will find a space, which will make us feel that it is our space. Kautilya is located just off the Mumbai-Pune express highway at Dhamani, about 70 kilometres from Mumbai. Come, engage with Leadership Centre, experience Kautilya and discover more of your leadership abilities. Mr. K. Ramkumar is the founder of Leadership Centre, an organisation dedicated to building world class thought and practise in the domain of leadership consulting, research and development. Leadership Centre believes that leadership is more than skill and style based approach to understanding and developing leaders. It has its proprietary model on leadership development which believes that leadership is a personal resource which each one has. It is by making individuals aware of their leadership resources and the enablement or limitations it places on their leadership abilities, one can develop leadership abilities. This is a personalised model. Mr. K. Ramkumar retired as the Executive Director on the Board of ICICI Bank. He was on the Boards of ICICI Prudential Life Insurance and ICICI Ventures. Prior to his retirement, he was the President of ICICI Foundation, ICICI Groups CSR arm. 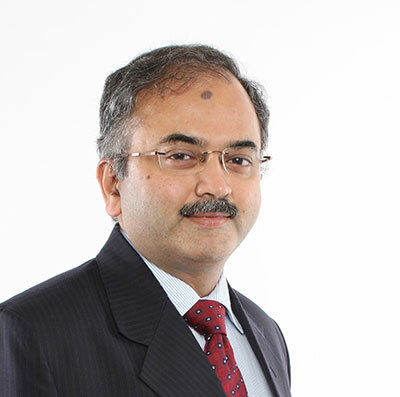 Ram as he likes to be called has worked for Hindustan Aeronautics Ltd, Hindustan Unilever Ltd and ICI prior to his 15 years long innings at ICICI Bank. Ram’s work over the last 32 years has been across a wide range of roles in HR and Business; yet his passion has been with respect to leadership development with specific emphasis on how to help individuals expand their leadership capabilities and organisations to strengthen their leadership pipeline. He led this mission at ICICI Group which is widely recognised as the leadership factory for building a world class leadership pipeline. Ram jointly envisioned with Manipal Global Education and established the ICICI Manipal Academy for Banking and Insurance a project centred on discovering and grooming young leaders from tier three and beyond towns and villages of India. This today has become the model which a large number of banks have adopted to resource their first level leadership roles. During the last 8 years ICICI Bank has inducted 12,000 young leaders from this program. He envisioned and established the ICICI Academy for skills an ICICI CSR initiative for skill development. The academy on last count is present in 23 locations and skills 35,000 youth in 15 skills. Ram has published his first book titled, “Leveraging Human Capital: A Practitioner’s perspective” published by McGraw Hill Education Pvt Ltd.
Aparna Nair brings forth value through her experience in design, development and facilitation accentuated by her understanding of business as a practitioner. Her experience spread over 15 plus years comes from roles essayed in large institutions and from being a first generation entrepreneur who has successfully worked with reputed names across industries. She is an accredited trainer from SMR, Malaysia, and is a qualified user of the Myers Briggs Type Indicator with extensive experience of the OPQ (Occupational Profiling Questionnaire developed by Saville and Holdsworth Ltd.). Her understanding of business comes from the hands-on exposure she has in field sales, team management, credit operations, project management and branch operations. She has worked in areas of performance management, human resource planning and instructional design for e-learning. 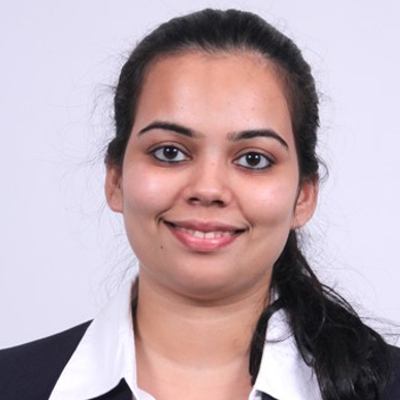 Aparna has held key responsibilities in establishments like ICICI Bank and the erstwhile Blue Dart-Fedex prior to starting her consulting practice where she engaged with organisations like Godrej & Boyce, National Collateral Management Services Ltd.(NCML), ICICI Prudential, Citi WAI, Wealth Advisors (I) Pvt. Ltd., WNS, I-mint (erstwhile) and Thyssen Krupp. Arundhati has over fourteen years of corporate experience across several verticals within the Human Resources and Organizational Development domain. 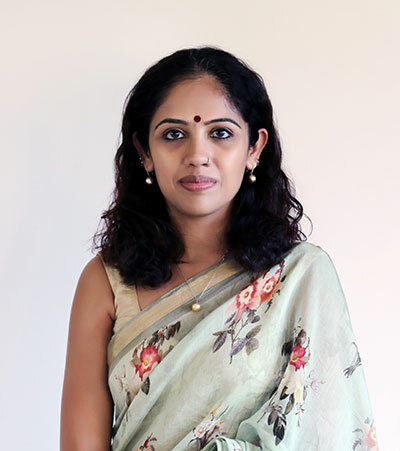 An alumnus of Mayo Girls, she has completed her graduation in Psychology from Lady Shriram College followed by an MBA from Fore School of Management. She has since then worked with several esteemed Indian and Global MNC’s including Indian Hotels, ICICI Prudential and Deutsche Bank. Her areas of interest and expertise include strategizing and executing organization wide OD interventions, employee engagement and employee branding. She has in her career personally trained over 500 managers across levels. In her last corporate role, she was the Head- Human Resources for Conde’ Nast India. Arundhati has also worked in setting up organizations- She was a part of the start-up HR team at Etisalat DB telecom and was instrumental in formulating their HR policy and process manual as well as setting up their Performance Management, Reward & recognition and Training framework. She was also a senior consultant within the team that helped Aegon Religare set up operations in India. Her role included recruiting key people to build the team as well as designing the company’s policies and processes in compliance with Indian norms. 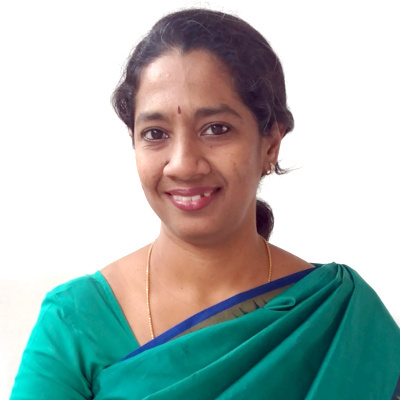 Arundhati has worked and consulted across industries including hospitality, telecom, banking, insurance, retail, automobiles, ITES and media helping her to build and develop a well-rounded perspective and exposure to industry specific needs and best practices. Her other interests include fashion and design and she has also been the co-founder of a successful fashion start-up. She also has a keen interest in fitness and is a certified fitness trainer. Muralidharan ( Murali) comes with over 33 years of experience in the Banking Financial Services and Insurance Sector. Over the last decade, he has held CEO/COO / Top Leadership positions across institutions such as ICICI Bank, Dhanlaxmi Bank and L&T Financial Services. His long tenures have been with the country’s largest Public and Private Sector Banks - State Bank of India (9 years) and ICICI Bank (13 years). His wide experience spans Corporate Banking, Retail Banking, Branch and Digital Channels, Strategy, Technology, Operations and Transformational Projects in Customer Experience some of which were industry-first initiatives. At ICICI Bank, he was a part of the team that set up the Bank in 1994 and went on to become General Manager – Global Operations Group. His transformational work in Dhanlaxmi Bank where he was the President and Chief Operating Officer won him The Asian Banker Award in 2012. He retired as the Group Head at L&T Financial Services where he led the Operations, Technology, Credit Mid office and Corporate Social Responsibility across the entire spectrum of Lending, Asset Management, Wealth Management and Insurance businesses . Murali was the member of the Group Executive Council, the Apex Body of the group. 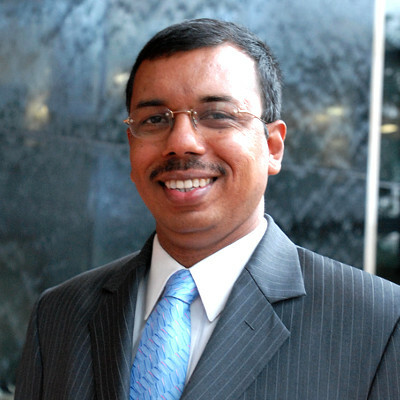 Through his career, Murali has been a part of Strategic and Leadership committees and has held Board Positions in the business and not for profit organizations. He was also the Vice-Chair of Custommerce Service Excellent Foundation. Murali has been a regular speaker in industry fora and facilitated sessions in leading institutions such as NIBM, TMTC and the like. Across the institutions he has served, Murali has actively been engaged in building and facilitating capability development, leadership development and functional training. Murali holds a Bachelors degree in Mathematics, Statistics and Physics and a Post Graduation in Economics from the University of Madras. He was a Gold Medallist in English while at college. His Professional trainings include courses from Wharton and an Executive Education Programme at the Stanford University Graduate Business School. Rafiya Mukadam is a young HR professional working with the Leadership Centre team. She is currently supporting in managing and designing of Leadership Development programs. She is also in charge of Leadership Centre’s social media management. Prior to her association with Leadership Centre, Rafiya has contributed in content development in the domain of digital exams. In her stint with an HR consultancy, she was responsible for lateral recruitment. Rafiya has a master’s degree in Business Administration with a specialization in Human Resources. She has graduated with a Bachelor’s in Engineering. Rafiya has been an active member of the HR community. She has championed the cause of expanding the practical knowledge of aspiring HR professionals by connecting them with industry experts.